The Raspberry Pi Zero is tiny and cheap. It's seemingly great for portable (dare I say) IoT projects. But it has a single USB port for connectivity and won't run (properly) off of anything but 5V. A USB-WiFi adapter sticks out of the side awkwardly and takes up that precious USB port, and a 5V boost supply is yet another board floating around in your project case. WiFi Pants adds WiFi to the Zero while leaving the USB port free, and boosts any battery from as low as 3V to 5V at up to 2A to power the Pi and any other add-ons. This is made possible by the popular ESP8266 WiFi radio in a shielded FCC certified module. 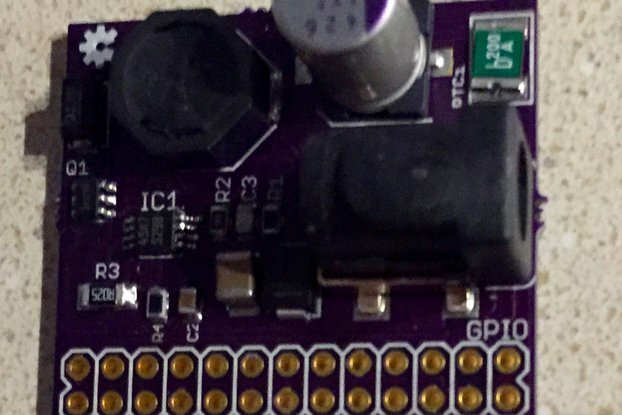 Only six GPIOs are needed on the Pi's expansion (HAT) connector. 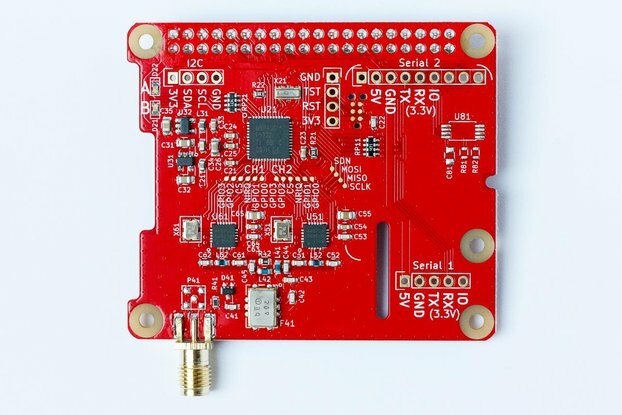 The WiFi Pants board fits the outline of the Pi Zero, with only a small protrusion for the antenna. A JST-PH connector compatible with Sparkfun and Adafruit battery packs is included with the board. An undervoltage lock-out prevents batteries from draining below 2.7V. A soft power switch input lets a microcontroller or switch easily turn off or on the power supply. Along with the soft power switch input, the 5 pin header exposes the Raspberry Pi's serial console. This is great for IoT projects where there is no screen but shell access is needed for setup. The header fits the 6 pin FTDI USB-to-UART cable. WiFi Pants also works great with the Pi A+, B+, and 2 models. 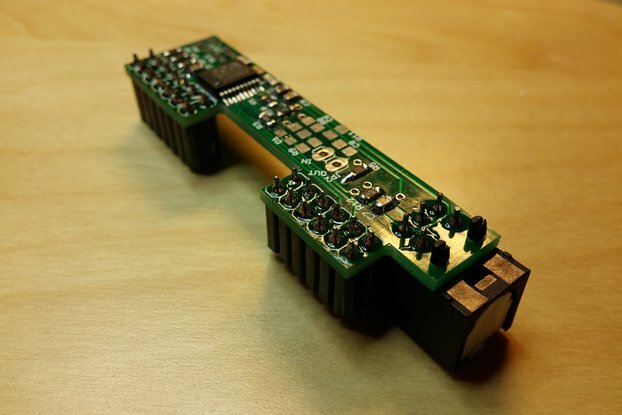 WiFi Power Pants comes in semi-kit form without headers soldered. This lets you choose among three ways to attach the board to the Pi. But that does mean that you will have to do some simple through-hole soldering. More assembly information here. There is a driver for Linux that can be easily added to Raspbian. This driver supports access point (AP) mode when used along with hostapd. In not so scientific tests, a 7x8 LED matrix driven by a Pi Zero periodically polling Twitter over WiFi lasts about 2 hours off of 3 AAA NiMh batteries. WiFi throughput is up to 40Mbps and seems to have the same range as many household WiFi devices. 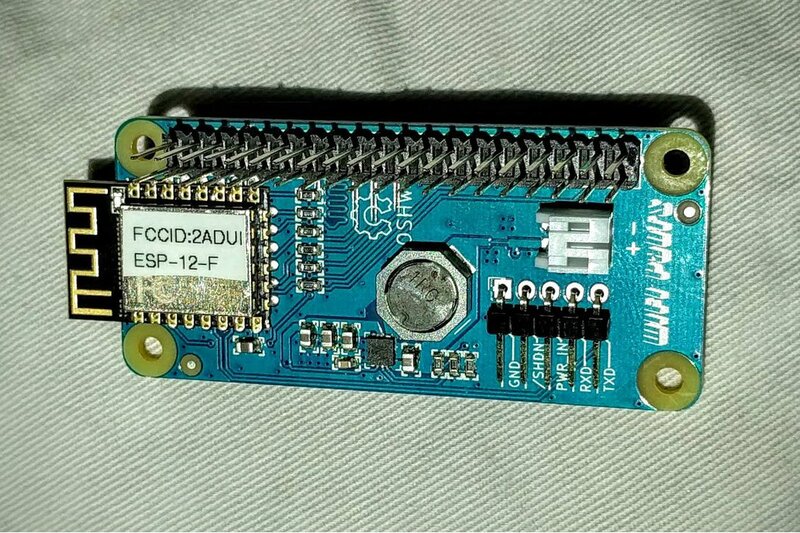 A brilliant hack, using the two most interesting and cheapest boards together -- the pi zero and the esp8266. A lot of thought and work went into making this work.